SIP Calculator or Systematic Investment Plan (SIP) calculator includes powerful SIP Goal Planner and Maturity Calculator. Systematic Investment Plan or SIP is an investment strategy where an investor invests a fixed amount every month. SIP investment is highly recommended in mutual funds and other share market oriented investments where volatility is very high. SIP is considered as an automatic market timing mechanism as it helps you to buy more units when the price is down and fewer units when price is up. SIP can help you to tide over the difficult situations with confidence at the times of market panic and avoid nervous selling. Investing through SIP strategy shall inculcate a discipline in your savings habit and enable you to amass a large corpus with out straining yourself. And last but not the least, it also help you to leverage the power of compounding. SIP Calculator – Goal Planner – How to use it? Enter the first three mandatory fields for the calculator. These fields include, Goal Amount, Investment period and expected rate of returns for your SIP investment. All other data shown are optional and can be omitted if not relevant for you. On clicking the calculate button you will get all relevant data in table format. In order to enable easy understanding, charts also are provided which can be seen on clicking ‘Show Charts’ button. Open Goal calculator and Planner. 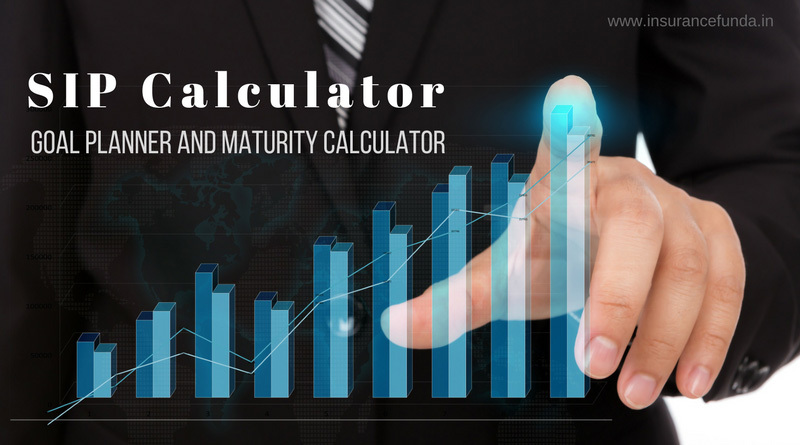 SIP Calculator – SIP Maturity Calculator – How to use it? SIP Calculator or to be precise SIP investment calculator can be used to compute the SIP (Systematic Investment Plan) returns or maturity value after a period of time. This calculator is option rich and can cater to various situations you may come across at the time of investment. First three values are mandatory and the other values shown are optional. Click on the calculate button to show calculations and click on show charts to view charts also.